Mark Montano: 5 Terrific DIY Projects! 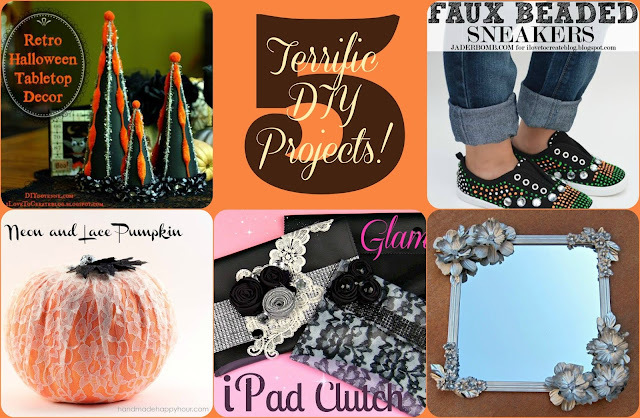 It’s Thurs-DIY and time to see what my friends, Margot, Jade, Heather, Cathie and Kathy have been up to! 5 terrific projects this week, so hop around and see what inspires you, OK. Make sure to say hello from me! Cathie Filian shows you several different ways to jazz up your pumpkins this fall and each one is better than the next! Rockabilly Necktie with Lesley Riley's TAP!